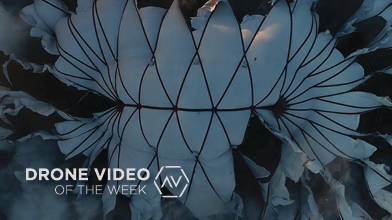 Description: Here are the Drone Video of the Week Ep 4 nominees! Make sure to check out the full cuts in the links below and then VOTE for your favorite! AirVuz contributor vagamundo takes us on a "seagull view" flight in Flying Escudo de Veraguas. Located in Panama this film features marvelous water, a few dronies and even a little bit of swimming. According to Jaxon_roberts this film Esperance - Western Australia features "Squeaky white sand, bright blue water, endless amounts of untouched beaches. Photos and videos don't do this place justice, it is easily one of the most beautiful places I have ever seen." You won't want to miss out on this jaw dropping beauty. Echoes of the Canyon is unique, moving and features the Coal Mine Canyon in Arizona. This is the first video uploaded to AirVuz by tglass0000. and he gives "many thanks to the Navajo family that graciously hosted us in their cabin at the edge of the canyon. We learned much from the people that call this canyon their home." We would also like to welcome IVAL PhotoVideo! FUERTEVENTURA - Only The Winds (2019) features an original music score by Alen Špionjak. It is noted that this "is a film about one of the most iconic and windy islands in the Gran Canarias archipelago." It has a nice mixture of water and land. You'll love the beauty of the Canary Islands! nelsonaerialpros is back with this action packed show reel! 2019 Showreel - Nelson Aerial Productions features a ton of variety including stadiums, dams, parades, hot air balloons and cruise ships. Some advice from Nelson Aerial? "be sure to turn up the volume!" CLICK HERE to vote for your favorite video. Voting runs through Sunday, March 24th at 11:59pm CDT. The winning video will be announced on Tuesday, March 26th on AirVuz.com See all five Drone Video of the Week Ep 4 nominees HERE!